An explosion occurred at 10am Moscow time on a train on the Kaspiysk-Tarki block section of Dagestan’s rail system. 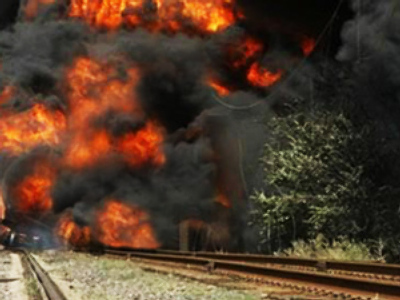 A bomb detonated under an eight-carriage goods train transporting liquefied gas. No one was hurt and it is reported that the train remained on the rails. An investigative group is working at the scene of the crime.